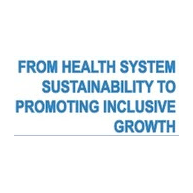 The Lithuanian Health Forum Conference held in Vilnius was organised to consolidate and address the policies, goals, and objectives of the Vilnius Declaration’s “Sustainable Health Systems for Inclusive Growth”, which was developed and circulated internationally during the 2013 European Council Presidency. Hosted by the Lithuanian Parliament, the conference on the 5th of September addressed the challenges of implementing the objectives of the Vilnius Declaration, and featured the participation of international healthcare experts from the European Union. Vytenis Povilas Andriukaitis, WHO Director of Health Systems and Public Health Dr. Hans Kluge, European Social Observatory Representative Rita Baeten, European Federation of Pharmaceutical Industries and Associations (EFPIA) Director of Healthcare Systems Thomas Allvin, and other thought leaders who contributed to the session. Commissioner Andriukaitis, who is responsible for Europe’s health and food safety, emphasised that only the coordinated efforts of the various state institutions would allow for the improvement of public health. The Commissioner further highlighted the importance of prevention as a key to delivering efficient public health solutions. “Coordination, cooperation, and alignment will allow us to reduce the negative factors impacting public health. This, however, will require the willingness of politicians to implement measures that will significantly reduce the effects of alcohol and tobacco use. Until we have the political will to take these important steps, we cannot hope for a more rapid improvement in public health,” said the Commissioner.